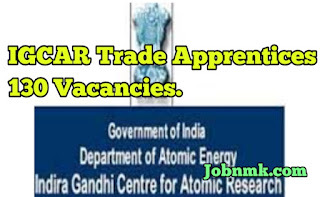 IGCAR Trade Apprentices 130 Vacancies. 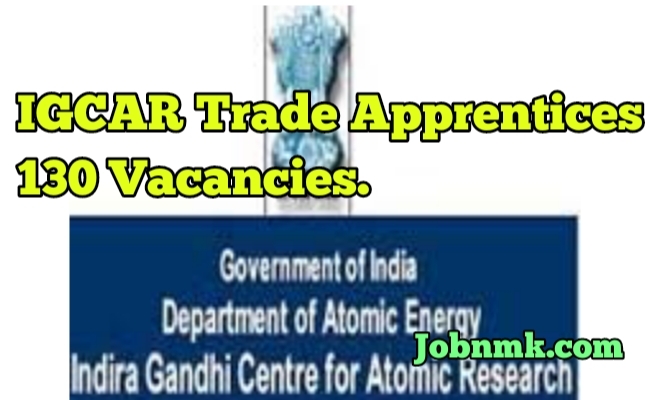 Indira Gandhi Centre for Atomic Research Has just Invited Online Application Form for the post of Trade Apprentices Posts in Department of Atomic Energy, IGCAR, Kalpakkam, Tamil Nadu. Those candidates Interested and want to apply form They should read full notification. Candidates should have Passed 8th or 10th standard examination under 10+2 system of education or its equivalent course. ITI certificate of not less than one or two years requires . The Selection of candidates will be on the basis of Interview only. Candidates should log on to http://www.igcar.ernet.in/.